Manufacturer of a wide range of products which include sprockets, single strand sprocket, double strand sprocket, conveyor sprocket, four strand sprocket and counter shaft sprocket. Sprockets are teeth like projections arranged on a wheel rim to engage the links of a chain. They engage chains in many different power transmission and conveyor systems. They are mainly made of cast iron, sintered metal, and carbon steel. 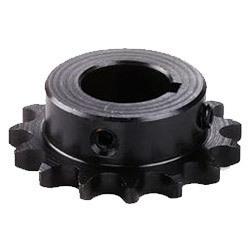 Inserted sprockets are also designed to reduce noise and operation. The sprocket must be inspected once a month for wear and if the teeth are worn down or are broken they should be replaced. They are often an economic, reliable drive system for long running, continuous drive applications with maximum absorption of shock and minimum torque loads. The sprockets and the chain must be lubricated with chain lube such as bell ray. Sprockets are most commonly used in bicycles. 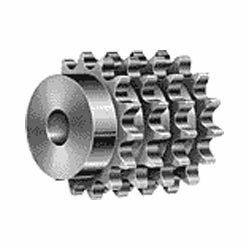 We hold expertise in providing Simplex/Single Strand Sprocket that is known for excellent quality and longer functioning life. These sprockets are known for unmatched quality features like corrosion & abrasion resistance, high tensile strength and durability. Further, these sprockets are offered by us in diverse specifications in accordance with the varied needs and demands of the clients. We offer different types of Duplex/Double Strand Sprockets that are used in varied industrial purposes. The sprockets available with us range from 3.8 inches pitch to 35 inches pitch and in length ranging between one inch to two meters. Further, these sprockets have gained wide industry recognition for their high end features like corrosion & abrasion resistance, high tensile strength and durability. Our organization is engaged in providing Conveyor Sprocket that is mainly used in conveyor systems. 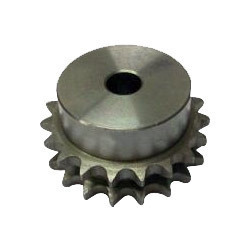 These sprockets are in compliance with the international quality standards and are offered in various specifications. 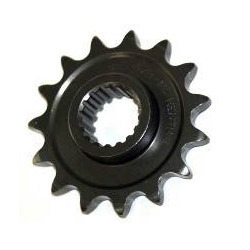 Besides, the main characteristics of these sprockets are that these have non sharp teeth and long gap between the teeth. We are well known manufacturers, suppliers and exporters of a wide array of Quadraplex/Four Strand Sprockets that are made as per the international quality standards. These sprockets are highly appreciated in the market for their optimum performance, reliability and durability. 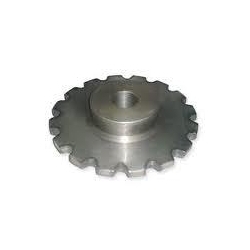 Besides, these sprockets are accessible in various sizes and specifications as per the requirements of the clients.